Every now and then I keep hearing how a lot of people keep losing money in cryptos but I have a different take on it. There are hundreds of opportunities in crypto, if not thousands, through which you can make money. Even if your pick doesn’t go well initially, chances are you won’t lose your money in other picks and recover from previous losses too. Take a look at the snapshot that I took in the first week of January 2017. Look at the top 5 cryptos on the CoinMarketCap and now compare these stats with the present price scenario of these cryptos. Needless to say, they have grown manifolds and all of them are in the top 10 now. So you see there is no chance that you will lose if you are HODLing good coins and avoid massive scalping & day trading techniques. I see similar potential in a crypto that started modestly and is now in the top 20 coins of CoinMarketCap. The coin’s name is LISK (aka LSK). I know some of you might say that it has already increased manifolds but I believe it will increase manifolds again the next year or so. Now the million dollar question is – where to get hold of Lisk tokens? And that’s the reason I am here – to list some of the best websites to buy Lisk. 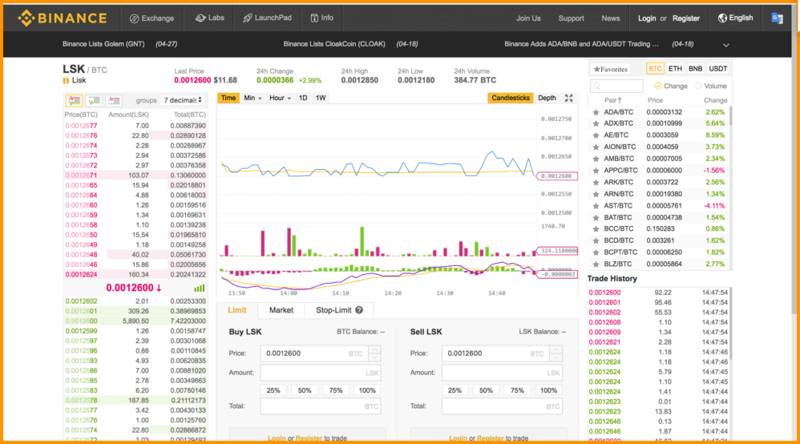 Note: This list has been made keeping in mind that some new users might also want to buy LSK so I have listed some easy to use and navigate exchanges first and then the ones that are not that user-friendly. Despite being based out of China, it does not serve its native country but is open to a long list of countries around the world. Since its ICO till today, it has grown by leaps and bounds and is now placed in the top 10 cryptocurrency exchanges in the world. Today it has more than 140 altcoins (including LSK) listed on it that are only increasing as the days are passing. They also have an easy to navigate UI along with a mobile interface for traders who would like to trade on the go. Another thing that I like about them is the fact that they are the cheapest exchange to buy/sell cryptos with only 0.1% trade fee in which also you can get a 50% off if you pay their trading fee in Binance tokens (aka BNB). To get started with Binance, you need to register using your email ID and the process is quite simple & fast. Moreover, you get 1 QTUM coin as a kind gesture for registration which is limited to 10,000 QTUM coins on first come basis. Another impressive centralized exchange that allows you to buy LSK is Huobi and is currently in top 5 exchanges for LSK in terms of providing liquidity for LSK/BTC pair. Huobi started off in 2015 and most people used to think that it is a scam website but according to our review & analysis, it is not. It has a colorful and easy to navigate UI which appeals to its users. You can get started with YoBit with a simple email registration and can enjoy its two-factor authentication and a login verification email security feature for enhanced security. They also have mobile apps for both Android and iOS for users who want to trade cryptos on the go. Their registration process is also pretty simple and straightforward, so go ahead and do the needful. Oh, and just so you know, the exchange fee is also pretty low. Have fun. Do read, Huobi Exchange Review & Benefits of HT token: Can It Pull Off Another Binance? This is one is my personal favorite exchange or website to buy/sell cryptocurrencies and has a pretty sleek UI to navigate. 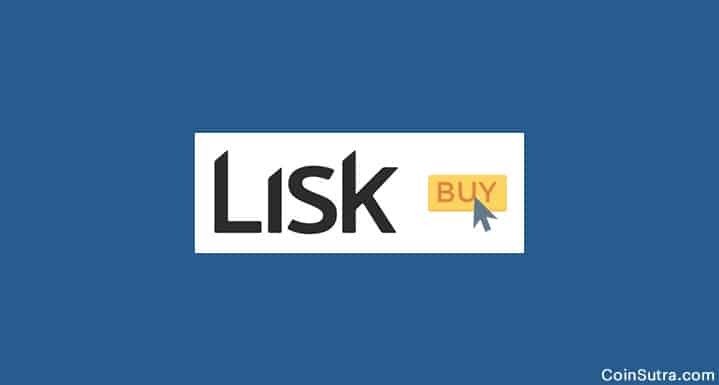 They also have been supporting buy/sell of Lisk cryptocurrency for quite a while now. Moreover, they are based out of the US and are well-regulated as well as compliant with all of the current US rules. They also have over 190 currencies listed on it. 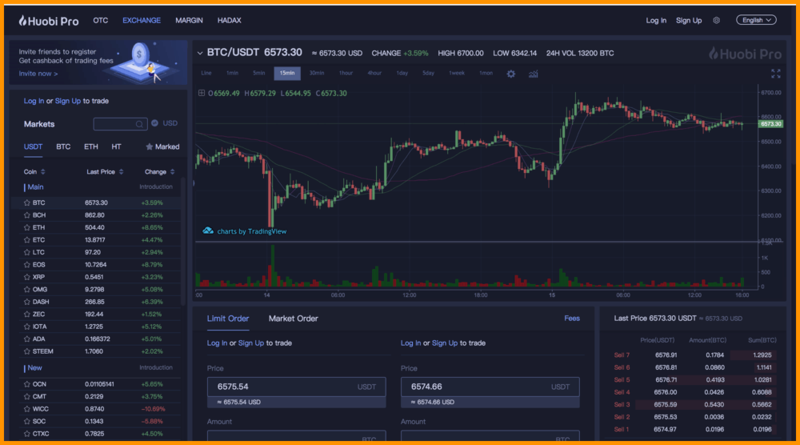 It handles one of the largest BTC trading volumes out of all the exchanges in the world and charges a standard 0.25 to buyers/sellers who want to trade on their platform. To get started with Bittrex, you need to register and log in through your email ID, but to withdraw funds, you need to do a KYC by submitting your ID documents and phone number, as well as enable two-factor authentication for higher limits. But one good thing about Bittrex is the fact that the account verification happens very quick. 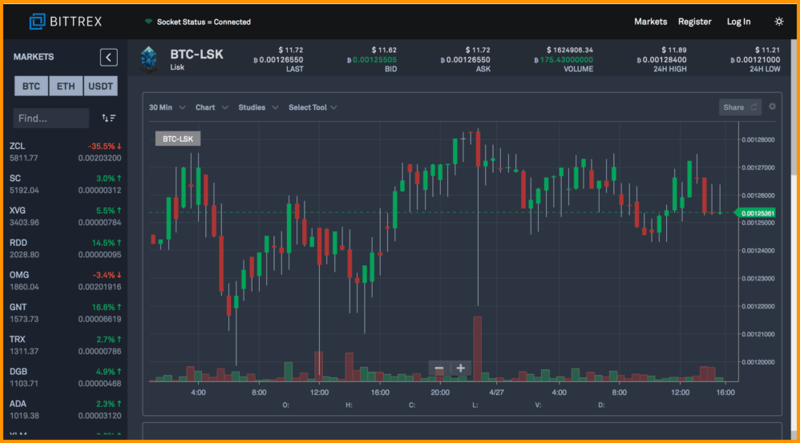 They provide access to advanced trading tools like candlestick charts and crosshairs, but the user interface is quite clean and intuitive, so newbies should have no problems. But the one thing missing is a mobile app to trade on the go which I am sure will be implemented in the near future. You can visit Bittrex and open a Bittrex account by following this official step by step guide here. Changelly is one of the easiest websites to use for exchanging or buying many cryptocurrencies. They currently support more than 40 cryptos, including Lisk, and charge a standard fee of 0.5% for providing the exchange service. One of the best things about Changelly is that you don’t need to go through any complicated verification or registration process. Simply log in with your email ID (or any email ID) and start exchanging! Your Lisk address where you would like to get your LSK tokens. Some bitcoins/altcoins to exchange for LSK. Head toward CoinSutra’s Cryptocurrency Exchange – Changelly and follow the steps given in this guide. Note: Though this guide shows how to buy Ripple in exchange for BTC, the process is exactly the same for Lisk. Currently, it supports more than 40 cryptocurrencies along with fiat pairs such as USD/EUR etc. If you want to know more, check out Harsh’s review on Changelly. When you use Changelly to exchange cryptocurrency, Changelly bots connect in real time to some of the best and busiest cryptocurrency exchanges in the market to get you the best price. Poloniex is one of the busiest exchanges to trade cryptocurrencies and they also have been supporting Lisk trading for some time now. Founded by Tristan D’Agosta, Poloniex has been operational since January 2014 and is undoubtedly one of the biggest cryptocurrency exchanges in the world and also had the highest volume for ETH in 2017 because it supported an independent Ethereum market as well as a BTC market very early. It is based out of the United States and offers over 100 cryptocurrencies to its users to trade and also provides the deposit of USDT (Tether dollars) and have a USDT independent market. It also has zoomable candlestick charts for 5-minutes, 15-minutes, 30-minutes, 2-hours, 4-hours, and 1-day, along with a stop-limit feature for advanced cryptocurrency traders. 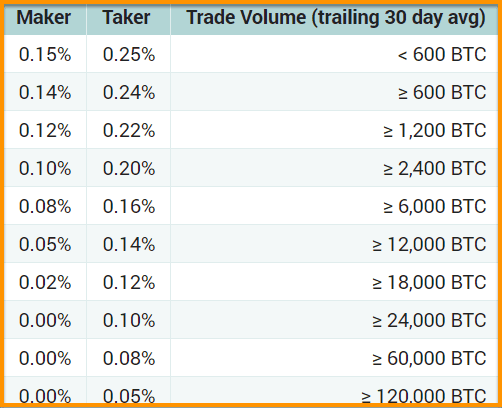 Poloniex charges a fee of 0.15% to 0.25% on all trades depending upon whether you are a maker or a taker. If you are looking to trade a variety of altcoins, you should give Poloniex a shot. To get started with Poloniex, follow this official guide. Remember: As soon as you sign up for Poloniex using your email, make sure you enable two-factor authentication! With time Lisk will keep growing, also given its solid roadmap and its rebranding plans, it will get listed on more exchanges in the near future. And whenever that happens, CoinSutra will update this post but for now, you can consider joining our Telegram channel to stay updated with all the latest info. Also, watch the Lisk’s introductory video that we have recorded recently in the India Blockchain Week 2017. Don’t use these exchanges as a wallet to HODL your Lisk cryptocurrency and pick a suitable LSK wallet from the below-suggested article. What Are Private Blockchains & How Are They Different From Public Blockchains? Great website, I’m a fan of the simple straight forward content but I’m not sure why “YoBit” was listed as a site to put money on as they were just hacked for millions in Cryptocurrency. Might want to remove that site. This is different Yobit and the one that was jacked was from Korea. Can you suggest a few exchanges where Altcoins can be brought using Neft/Imps or debit card?